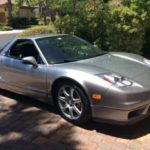 Today (August 3rd, 2016), we have listed 9 new Acura NSX ads to our site. These listings span 6 different states and 4 model years. 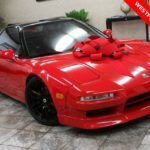 183k miles 5 spd manual Ac Tcs Runs great Brand new paint Brand new wheels Brand tires Tanabe lower springs Ivori interior Looks good for 25 years old car……..
1992 acura nsx coupe – $39,995 Year: 1992 Make:acura Model:nsx Trim:coupe Mileage:105,454 Stock #:stk000631 Vin:jh4na1262nt000631 Trans:automatic Color:red Vehicle type:coupe State:in Drive train:rwd Engine:3.0l v6 24v…….. 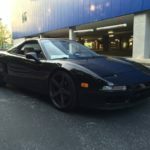 Transmission: 6-speed manual overdrive Options: Leather seats Description Original owner original mileage no accidents perfect condition garage kept serviced…….. This entry was posted on Wednesday, August 3rd, 2016 at 3:30 am	and is filed under Baltimore, Florida, Indiana, Indianapolis, Las Vegas, Maryland, Miami, Nevada, New Hampshire, New York, Rochester, Tampa Bay Area, United States. You can follow any responses to this entry through the RSS 2.0 feed. Both comments and pings are currently closed.